A strike is a ‘social phenomenon of enormous complexity which, in its totality, is never susceptible to complete description, let alone complete explanation’ (Gouldner, 1954:65). The complexity of the meaning and implications of strikes often comes to the fore when offensive strikes – strikes where workers demand more than what they have in terms of wages and working conditions – force the attention of the state, capitalists and civil society. They lead to a varied interpretation not only of how events unfolded but also the impact they have made. Strikes are a key manifestation of the class struggle over the distribution of national income and reform of the labour relations system. Offensive strikes can generate an extraordinary amount of pressure on the social system which often leads to structural changes such as the reconfiguring of the industrial relations system, the economy or the political system. Such events are referred to here as a turning point ( Legassick, 2012; Alexander, 2013; Webster, 2016). In the immediate post-apartheid period, the trend was for strikes to increase in frequency, with the highest number of strikes in South African history – 1 324 strikes – taking place in 1998. From 2000 and 2009, however, strikes averaged 71 per annum, which was even lower than the 1960s, and these strikes were largely defensive in character. Despite the low frequency of strike action, the year 2007 marked the beginning of a new militancy in pursuit of higher wages and benefits. The level of 2007 strikes was largely owing to the huge support for the offensive public service strike involving some 700 000 workers, which was closely followed by a more successful wave of 26 offensive strikes, mainly led by workers’ committees at FIFA 2010 World Cup construction sites (Cottle, 2011). While centralised bargaining and sectoral minimum-wage determinations continued to act as counterweights against strikes, the numbers of days lost due to industrial action accelerated from then. The 9.5 million days lost in 2007 more than doubled to 20.6 million by 2010. Most of the days lost in 2010 were, again, in the public sector, where some 1.3 million came out on another militant strike. What was significant about this strike was that the ANC (African National Congress), for the first time, could not control the affiliates of its major labour alliance partner, COSATU (the Congress of South African Trade Unions). Further, there was an unprecedented increase in the proportion of unprotected, mainly wildcat strikes from 44% in 2012 to 52% in 2013, 48% in 2014 and 55% in 2015. The increase in the number of days lost and the increase in the share of unprotected strikes are important indicators of a change in the mood of the working class. The offensive wildcat strikes of December 2011 to April 2012 were heralded by post office workers’ committees against labour broking, which at the same time exposed the union’s lack of will to take up the struggle of non-standard workers. These workers ended the system of labour broking in the post office, ensured permanent employment of 5 000 workers and doubled the salaries of workers to R4 000 (about €258). The post office strikers became the first group of workers in South African history to reverse labour broking in full and win a 100% wage increase (Dickinson, 2015). Both the Lonmin strike and the Western Cape farmworkers’ strike started in August 2012. Rock drillers initiated a wildcat strike at Lonmin platinum mine in pursuit of wages of R12 500 a month. The strike was led by an independent strike committee and the recognised union, the NUM (National Union of Mineworkers), actively opposed the strike, siding with Lonmin management. On the 16th August, a peaceful assembly of workers was forcefully broken up by a special paramilitary task team who killed 34 mineworkers in what became known as the Marikana Massacre (Alexander, 2013). This strike secured only a partial victory, with a 14% increase in wages. The Western Cape farmworkers’ strike lasted from 27 August 2012 to 22 January 2013. The strike and the associated community uprising spread to 25 rural towns and was led largely by seasonal workers, coordinated by locally based vanguard groups (Wilderman, 2015). The farm workers’ strike was historic because it was the first strike-wave in the post-apartheid period to deliberately unite workers and communities, and this forced the hand of government which announced a 52% increase in the daily minimum wage in the sector. In general, figures about the agricultural sector indicate a trend to stabilise employment along with a significant shift from casual and seasonal to permanent employment, marking the beginning of changes in the labour process brought about through the agency of farmworkers against capital. A year after the farmworkers’ strike, on 22 January, the longest and most expensive strike in South African history broke out in the platinum industry. The 70 000 strong, five-month long platinum strike hit 40% of global production. The stoppage dragged the economy into contraction in the first quarter of 2014 and cost the three companies affected almost R24 billion in lost revenue. The final agreement between AMCU (the Association of Mineworkers and Construction Union) and the three platinum producers included a R1 000 per month wage increase, or 20% increase for lower earners. On July 1, just more than a week after the platinum strike, 220 000 metal workers from NUMSA (the National Union of Metalworkers of South Africa) downed tools, demanding a salary increase of 12%. The protected strike lasted for one month without pay and concluded with a 4% real wage increase. While labour brokers will not be banned as NUMSA had demanded, it was agreed that a number of regulatory instruments would be introduced, including the appointment of compliance officers to act on complaints of alleged abuse and noncompliance. The Marikana strike-wave changed the political landscape and gave impetus to the nationwide 2015 Fees Must Fall protests at higher education institutions, later expanded by the Outsourcing Must Fall campaign. In the absence of leadership from NEHAWU (the National Health Education Allied Workers’ Union), workers were mainly led by workers committees which developed a call for insourcing at higher education institutions nationally. The combined actions by students, workers and academics ensured that almost all universities across South Africa agreed to end outsourcing on campuses and to employ workers with the same conditions as full-time workers, resulting in wage increases between 66% and 163%. This event was an expression of a new level of consciousness and unity, with significant implications for the power relations at tertiary institutions. It constitutes the third instance of a reversal of labour process restructuring in the current period. Does the gradual increase in the number of strikes – starting in 2007, followed by the Marikana Massacre and the farmworkers’ revolt of 2012, the five-month platinum strike and the one-month metalworkers’ strike in 2014 – indicate that a new wave of offensive strikes has begun? Or is it just a short-lived revival amongst a depressing long wave of defensive strikes? Has South Africa reached a turning point? Several structural dimensions are affected. On the economic side, we have seen direct challenges and changes to the labour process, and huge costs to the economy associated with strikes. At the industrial relations level, there is pressure from business and the formal opposition party, the DA (Democratic Alliance), to change the law to undermine the right to strike. On the other hand, in January 2015, the Labour Relations Amendment Act (No.6 of 2014) took effect to ensure that vulnerable groups of employees, especially those employed through labour brokers, get adequate protection. On the political level, a new opposition to the ANC, the EFF (Economic Freedom Fighters), was formed in 2013, and the militant NUMSA was expelled from COSATU in 2015, setting the stage for the launch of an alternative, politically independent federation. Finally, in the 2016 municipal elections, the support for the ANC as the manager of neo-liberalism in South Africa fell, indicating a decline of hegemony. 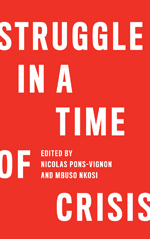 While some have argued that the Marikana strike wave was not a turning point, they have limited their analysis to a formalistic view of the events as a specific labour dispute gone wrong, and cite the fact that the labour relations system remains intact. Other mainstream economists instead focus on the irrationality of the actions in terms of losses of incomes to workers. Does the fact that Marikana workers lost 12% of their annual wages, that R10 billion in wages were lost in the 2014 Platinum strike, or that NUMSA workers only gained 4% in their one-month strike, relegate the strike waves to defensive incidents? In order to rightly appreciate the value of strikes and combinations, we must not allow ourselves to be blinded by the apparent insignificance of their economical results, but hold, above all things, in view their moral and political consequences (Marx 1853). Edward Cottle is a PhD candidate at the Institute for Social and Economic Research, Rhodes University, South Africa. He is the former project leader of Collective Bargaining Support at Labour Research Service, Cape Town, South Africa. He was previously the Policy and Campaigns Coordinator of the Building and Wood Workers’ International (BWI), Africa and Middle East Region. 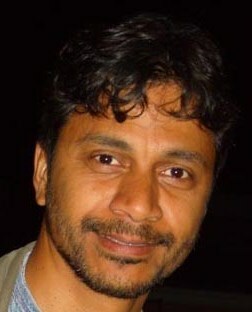 Eddie was also the coordinator of BWI’s “Campaign for Decent Work Towards and Beyond 2010”. He is Editor of the book, South Africa’s World Cup: A Legacy for Whom? published in 2011. Alexander, P. (2013) ‘Marikana, Turning Point in South African History’. Review of African Political Economy, Vol.40 (138): 605–19. Cottle, E. (ed.) (2011) South Africa’s World Cup: A Legacy for Whom? Scottsville, University of KwaZulu-Natal Press. Dickinson, D. (2015) ‘Fighting Their Own Battles: The Mabarete and the End of Labour Broking in the South African Post Office.’ SWOP, University of Witwatersrand. Marx, K. (1853) ‘Russian Policy against Turkey.– Chartism’. New-York Daily Tribune, No. 3189. Webster, E. (2016) ‘Marikana and Beyond: New Dynamics in Strikes in South Africa’. SWOP, University of Witwatersrand. Wilderman, J. (2015) ‘From Flexible Work to Mass Uprising: The Western Cape Farm Workers’ Struggle.’ SWOP, University of Witwatersrand. Gouldner, A. W. (1954) Wildcat Strike. Ohio, Antioch Press. Wonderful data and some great questions opened here. Thank you Edward Cottle and GLC! Solidarity! Even though Eddie criticises an economistic analysis of the strikes, he veers in the same direction. Simply quoting strike statistics without doing a proper analysis of the political terrain leads to a misreading of the situation. For strikes to lead to a change in the balance of power requires a political re-orientation of the labour movement. With the decline of Cosatu as a progressive force and Numsa's new federation marooned in no-man's land, a critical piece of the 'tipping point' is absent. Until this is rectified, the militancy and successes of the workers will be reversed.